• Michael Murphy, Dennis Gandley and Santa Cataldo of Douglas Elliman represented the landlord and Edward Fitzsimons of Real Estate Services Edward Fitzsimons represented the tenant in a 10,750 s/f, 20-year lease at 20 Carmans Rd., Massapequa. The tenant is a N.J.-based day care facility, Lightbridge Academy. • The $2.5 million sale of 517 Rte. 111, Hauppauge, a 13,500 s/f office/medical building. The seller was Mission 517 LLC and purchased by Andrew Leo, M.D. 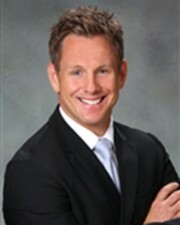 Murphy and Gandley represented the seller and Jeremy Hacket from Metro Realty Services represented the buyer. • The $1.2 million sale of 591 Rte. 112, Port Jefferson Station. The seller was Terryville LLC and purchase by Sayville Browning Properties. Murphy represented the seller. Louis Fisher and Dennis Gandley represented the buyer. • The $3.5 million sale of 1746-1766 Sunrise Hwy. The seller was 65th Place Plus Corp. and purchased by Progressive Housing Corp. The deal was brokered by Michael Gronenthal and Suiv Lee of Douglas Elliman. • The $1.35 million sale of 2240 Wantagh Ave., Wantagh. The property is situated on 0.529 acres. The seller was 2240 Wantagh Avenue S Corp. and the buyer was IJVV Holding Company. Christopher Pesce of Douglas Elliman handled both sides.